There's been a decent buzz in the space and tech communities about the "ISEE-3 Reboot Project", so I thought it would be worth mentioning here and pointing out some of wonderful techniques they are using to revive a satellite from almost 40 years ago. The ISEE-3 satellite is one of three satellites that made up the International Cometary Explorer (ICE) program. There were some interesting orbital things done with this satellite after its launch in August of 1978. It was also the first spacecraft to go through the tail of a comet! As with all missions, this one came to an end and the satellite was not head from since 1998. The equipment to talk to the satellite was removed and it was considered to be out of service. ISEE-3 sits in a heliocentric orbit, meaning that orbits the sun, not the Earth. We knew that ISEE-3 would make another stop by our planet in 2014 when it was parked in this orbit in 1986 (from what I can tell anyway). 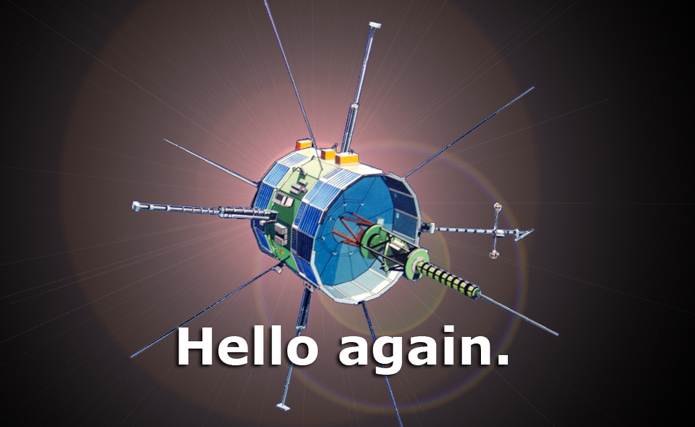 A group of citizen scientists started the ISEE-3 Reboot project, crowd funded on the internet. They got permission to take over the satellite and intend to use the Moon's gravity and a rocket burn to send it on another mission. If the window of June is missed, the satellite will probably never be heard from again. The team was able to contact ISEE-3 on May 29 using the Arecibo observatory radio telescope. The craft was commanded to transmit engineering telemetry, basically a health screening of the systems. The team is currently busy decoding the data (streaming in at 512 bits/sec) and planning how they will execute the rocket burn. 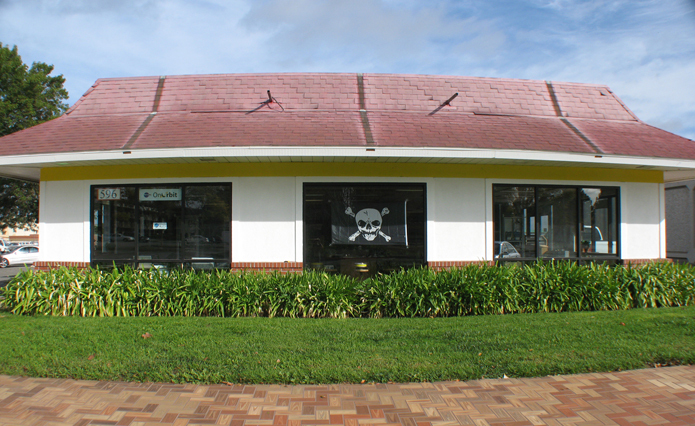 The team is running out of an old McDonalds at the NASA Ames Research Park, the makeshift mission control has been termed "McMoons" after hosting previous space based projects. The part of this that I find amazing is the role that software defined radio is playing. Software defined radio (SDR) is a way to use software to emulate radio equipment. With a small USB stick I can receive many different kinds of radio signals and decode them, something that would have required racks of equipment a few years ago. 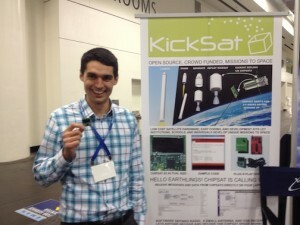 This team is using a radio termed the "USRP" that allows them to transmit and receive. I've written about them before (here) and have used them in research. They are amazing little units and provide a unique learning opportunity. (Maybe I'll post something about a radar we made with one of them as a demo!) A photo tweeted by the team shows 2 USRP units and laptops hooked into the giant dish antenna at Arecibo. That's all for now, but stay tuned to the team's website for updates and I'll be keeping up with the progress as well. This is just another incredible example of how advanced hardware and software that has become relatively cheap can allow a group of savvy citizens to accomplish incredible feats! Way to go folks!